B0851. Edward B. Marks. 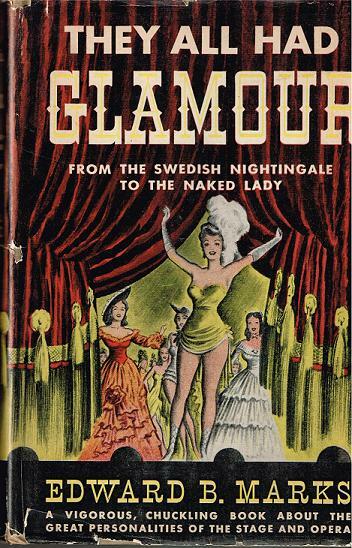 They all had Glamour, from the Swedish Nightingale to the Naked Lady, A vigorous, chuckling book about the great personalities of the stage and opera. New York, Julian Messner, 1944. 448pp. 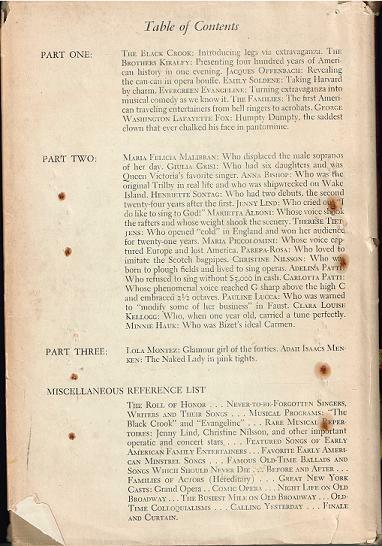 Photos and Illus. Choice copy has very sl.worn DJ.